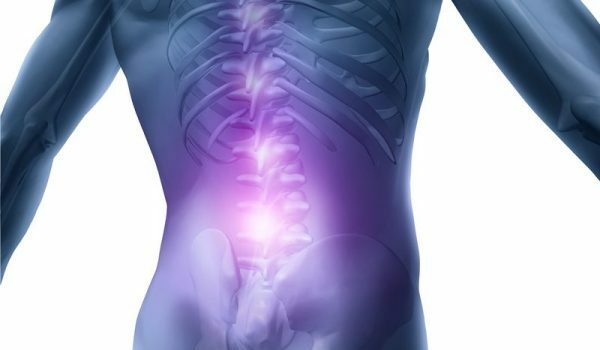 Can Electrical Current to the Brain Treat Chronic Back Pain? Researchers have demonstrated that they can target one region in the brain with weak electrical current and significantly decrease symptoms associated with chronic low back pain. The electrical current enhances the naturally occurring brain rhythms in that area of the brain. The research results were published in the Journal of Pain and suggest that one day doctors may be able to target parts of the brain with new non-invasive treatments like transcranial alternating current stimulation, or tACS, which was used in this study to increase naturally occurring brain waves. Chronic pain is the leading cause of disability in the world, but there is not consensus among scientists that brain activity plays a causal role in the condition. Frohlich says the pain research field has focused largely on peripheral causes of chronic pain. For example, if you have chronic lower back pain, then the cause and solution lie in the lower back and related parts of the nervous system in the spine. But some researchers and clinicians believe chronic pain runs deeper, that the condition can reorganize how cells in the nervous system communicate with each other, including networks of neurons in the brain. Over time, the theory goes, these networks get stuck in a kind of neural rut, essentially becoming a cause of chronic pain. Prim and colleagues recruited 20 patients with lower chronic back pain. Each of them reported back pain as “four” or greater for at least six months on the subjective scale of one to 10. Each participant volunteered for two 40-minute sessions that took place one to three weeks apart. During all sessions, researchers attached an array of electrodes to the scalps of patients. During one session, researchers targeted the somatosensory cortex using tACS to enhance the naturally occurring alpha waves. 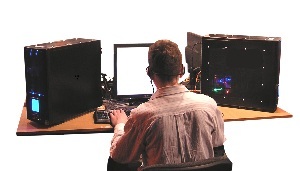 During another session for all participants, researchers used a similar weak electrical current that was not targeted – this was a sham or placebo stimulation session. During all sessions, participants felt tingling on their scalp. They could not tell the difference between the sham and tACS sessions. Also, the researchers in charge of analyzing the data did not know when each participant underwent the sham or tACS sessions, making this study double-blinded. Sangtae Ahn, PhD, a postdoc in Frohlich’s lab, analyzed the data, which showed that Frohlich’s team could indeed successfully target and enhance alpha oscillations in the somatosensory cortex of people with chronic lower back pain. When Prim and colleagues surveyed the participants, all of them reported a significant reduction in pain immediately following the tACS sessions, according to the subjective 0-10 pain scale. Remarkably, some participants reported feeling no pain after the tACS sessions. Participants did not report the same pain reduction after the sham stimulation sessions. Frohlich said his lab also hopes to conduct studies on people with various kinds of chronic pain. Zap Your Brain to Treat Chronic Pain? The Internet: Wiring Young People for Success or Failure? Back Pain: Is There An Association With Mortality Among Older Women? I have looked on Google, put in how doctors treat their own pain. There is absolutely no articles. I also looked on Google how does Congress members treat their own pain. Absolutely no articles. Only found one article in which Sean Mackey pain specialist talks about treating a doctor with opiate but does not give the doctor’s name. So that right there tells me they don’t want us to know doctors or congress how their pain is treated which is different from you and me. They get the opiates. We are sandwiched between the Physicians and the Pharmacy , insurance. DEA, CDC , Medicare believe those three entities that we’re sandwiched between we’re are on the bottom of the totem pole or Pawn on the chess game to be denied, abandoned, insulted or inappropriately labeled and left to suffer. Those who do get treatment loose their privacy, labeled, still suffering, coerced for so-called treatment , great deal of money payout for treatment that shows little significance of helping pain. I believe all Physicians that are not in pain management want us to walk away be quiet. I have been asked by physician please not to bring up pain anymore there’s nothing he could do but send me to physical therapy. Another rheumatologist told me to write my Representatives. He said he did not like my comment on the sheet you fill out for your pain level. I put why I asked? He said maybe we can adjust your muscle relaxers. I said that’s not gonna help my severe pain. Pretty much blew me off and just said well you haven’t been on all the muscle relaxers. I have asked both doctors have they contacted the Congress or Representatives about helping people in chronic pain get there opiates back. And they change the subject both of them. I spoke to a third doctor and he mentioned about me writing mine representatives. I said I did but none of them responded back and he made the comment not until they wanted donation or vote from you that’s the only time he hears from them. While I’m all for progress, the thought of using people already suffering extreme pain as guinea pigs is cruel beyond the pale. Especially cruel is the fact that good, effective medications are being WITHHELD. This time will be a very dark page in the medical history books (assuming, of course, that it makes it into the book at all). Heaven help us. I just give up. Those damned idiots can’t replicate the real world data on opioid for pain with ANY treatment they miraculously discover, re-discover, or WILL discover in the foreseeable future. Fake pain clinics popping up everywhere run by anyone wanting to make a fast buck with useless treatments, patients dying from pain and we get the ‘let’s shock the crap out of their brain, then they won’t care if they hurt’…….. Christ on a cracker what idiocy…..
NO I REFUSE TO BE A GUINEA PIG. BUREACRATES GREED DICTATING TO OUR DR.S BY THREATENING THEIR LICENSE IS DESPICABLE AND MAKE NO MISTAKE THIS IS NOTHING BUT, MASS GENOCIDE OF THE WEAKEST SICKEST DISABLED ELDERLY VETERANS BASICALLY S.S.I. RECIPIENTS. BABY BOOMERS ARE STARTING TO RETIRE. BET OUR DEATHS WILL FREE UP AT LEAST ONE BILLION OR EVEN MORE ??????? THEY’D KNOW I’M SURE OF IT. GREED GREED GREED ALWAYS ABOUT MONEY. The numbers include all street drugs like heroin. Had the craziest PAIN CLINIC DR. yell at me telling me YOU DON’T NEED PAIN PILLS YOU CRAVE THEM BECAUSE YOUR AN ADDICT. I’VE NEVER BEEN SO INSULTED IN MY ENTIRE LIFE. WHAT A BRAINWASHED IDIOT. SAID SCREAMING AND I’M NOT RISKING MY LICENSE FOR ANYONE. WE ARE A NON-NARCOTIC PAIN CLINIC. OXYMORONIC IS WHAT THIS NONSENSE IS PLAIN AND SIMPLE. HE NEVER EVEN LOOKED AT MY MRIs or MY RECORDS. Oh yes I totally agree with all the previous comments. I’m afraid I’ll have a heart attack or stroke. My blood pressure has been 209 dislocated defective HIP implant three times in 2 MONTHS during forced tappered off my time release pain medication. The first two Dr.s at the Salem,Or.Hospital hurt me so bad by holding me down by my upper body instead of holding me down by holding a blanket across my hips. It felt like I’d had the  beat out of me. My Dr.lied to me. She absolutely did not tell me she was cutting me off completely. Leaving me with BREAKTHROUGH pain pill 3 per day. I told her im not getting better I’m worse than ever as I age. I dropped her. I’d told her I need to see a Pulmonary specialist but,she wouldn’t WHAT!!!! QUESS WHAT NOW I’VE GOT CHRONIC EMPHYSEMA ON TOP OF TO MANY CHRONIC HEALTH PROBLEMS TO KEEP TRACK OFF ON TOP OF MY REALLY SCREWED UP BACK WHICH NO SURGERY CAN HELP. MEDICAID MEDICARE DOESN’T COVER SQWATT. Big GOVERNMENT WANTS US DEAD WE ARE A DRAIN ON THE SOCIAL SECURITY BUDGET. NOTHING BUT,GREED !!! MAKE NO MISTAKE HITLER KILLED OFF THE SICK,DISABLED ELDERLY FIRST TOO. MASS GENOCIDE IS WHAT IT IS. TO ALL MY SISTERS AND BROTHERS I LOVE YOU AND PRAY FOR US ALL. PLEASE GOD HELP US. It is Nov., 2018 and under Trump, this had become a tragic problem for so many in this country. Just like so many Trump policies, this has been poorly thought out, poorly executed and is another failure on my country that was so unnecessary. To lump law abiding citizens who are genuinely suffering from chronic pain into the same group as recreational users, pushers and abusers is a crime perpetrated by my government. It lacks professionalism, tact and insight. President Obama reduced opiate prescriptions by 20% during his two terms and for a large part, took out the excess. Now Trump comes in and has to out perform all things Obama and puts his tactics on us. Only, Trump lacks the sophistication of the previous administration. Citizens are suffering unnecessarily. Scientist and clinicians should have started on this a long time ago if they had wanted to change the course of a chronic pain patients life. “They “hope” to “conduct” over a “longer” period of time.” Right now hope, conduct and longer aren’t the proper words to use when it comes to our situation at hand. 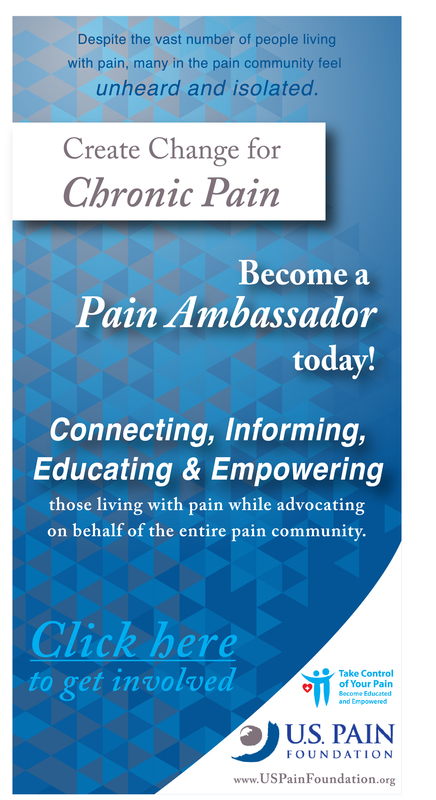 It amazes me that so many are all of a sudden wanting to jump on the bandwagon to try and come up with a solution for chronic pain, especially when we already have one that is PROVEN and is SAFE! I also want to know what side effects accompanie this procedure? I was told the injections they put in your back were safe until I went into cardiac arrest twice. Now with a pacemaker and defibrillator, of course this means I cannot use the TENS unit so what about this procedure? It absolutely amazes me and makes me sick to my stomach that we have all of this technology and progress yet billions are suffering needlessly because of our very own government. Makes one proud to live in America doesn’t it!? The land of the free and the home of the brave. At least they got the home of the brave part right. If opioids are such a danger and such a threat then someone please tell me why on God’s green earth they ever used them in the first place?! This entire situation is absolutely unbelievable even though it’s gone on for over two years now with no hope in sight! May God help us all and may He bless every single one of us! I have a Spinal cord stimulator forthe chronic nerve pato 60 percent to 60in post surgery. It helps with 50 to 60 percent of the pain. I don’t believe this. They have used shock therapy. For mental health. N it’s failed ! Tens Unit another shock therapy. , helps a small percentage ! So another shock treatment therapy ! Very doubtful.! As little as. The medical professionals know about the brain n posted in many articles. The knowledge is about 10% of how. The brain functions, this is another grasp at straws! Try another one ! Be cause. I don’t believe it ! It were that simple it would been used years ago or developed years ago ! Anything except what worked for so many for centuries. Talk about grasping at straws. Why not just return everyone’s narcotic pain relievers? Isn’t it crazy that chronic pain is the leading cause of disabilities and we have medications that treat chronic pain wonderfully but we no longer have access to it because of all the misinformation by our own government. Hundreds of thousands of chronic pain patients suffering needlessly, lives ruined, families torn apart, careers stopped in their tracks. Science is wonderful and scientists are always coming out with new procedures to help people live fuller and more satisfying lives, unfortunately what I haven’t seen too much of is the scientific community putting their opinions regarding opiates out there. Surely they must have an opinion. As I continue to fight for our rights to receive adequate medical treatment, I keep hoping to hear from the scientists in the medical field saying how wrong the FAKE WAR ON OPIATES is, they have been unusually silent when it comes to treatment for chronic pain, in most cases they just choose to watch from the sidelines and refuse to get involved, help their patients feel better. My guess is that they are simply terrified of losing their medical licenses that they’ve spent 10 years of their lives to attain. I never thought I would see the day when citizens, which includes EVERYONE in our great country, would be afraid of our own government. That’s the kind of stuff that happens in third world countries, not the United States of America!!! It’s “big brother” breathing down your neck. Ruling citizens through fear just doesn’t seem like the good old USA. My feeling is if the opiate epidemic affected 50% of our legislative body, then you would see legislation quicker than you can say Jack Robinson. I totally blame the government for my awful daily pain ruining my life AND MY FAMILIY’S LIVES. I know that I have a tendancy to rant about the injustice of it all, but it doesn’t make me wrong. Science is great, they’ve changed many lives with their great discoveries but like doctors they remain eerily silent. God bless you all.